The Northeast Florida foreclosure situation is a good deal different from what we were discussing a few years ago when the tidal wave of 7.3 million foreclosures and short sales swept the nation. When The New York Times “Dealbook” recently pronounced that the supply of cheap foreclosed homes in America is dwindling, it came as news to…well, no one. Let’s face it: Northeast Florida investors wouldn’t need to look up the latest statistics to guess that number of offerings would be down. The continuing rebound in home values, slow but steady improvement in the overall economic picture, and even just the passage of time has to mean that the glut of subprime-crisis-era foreclosures would have worked their way through the system. The principal difference in today’s Northeast Florida foreclosure milieu is that far fewer are available, and the difference between market value and listing price has narrowed. There may be fewer competitors to worry about, but some are still out there, as always. Today sees fewer institutional investors—in fact, some are leaving the market altogether, taking their profits and selling out to groups more committed to long-term property management. Aside from the qualities described, there is still no blanket formula for landing the best Northeast Florida foreclosure deal. But among other observations, there are two that are worth considering. 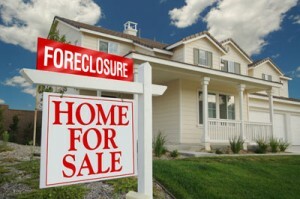 The Northeast Florida foreclosure picture changes constantly. If you are interested in the investment possibilities—or are looking for a buy on your next home—don’t hesitate to give me a call to discuss the latest offerings!